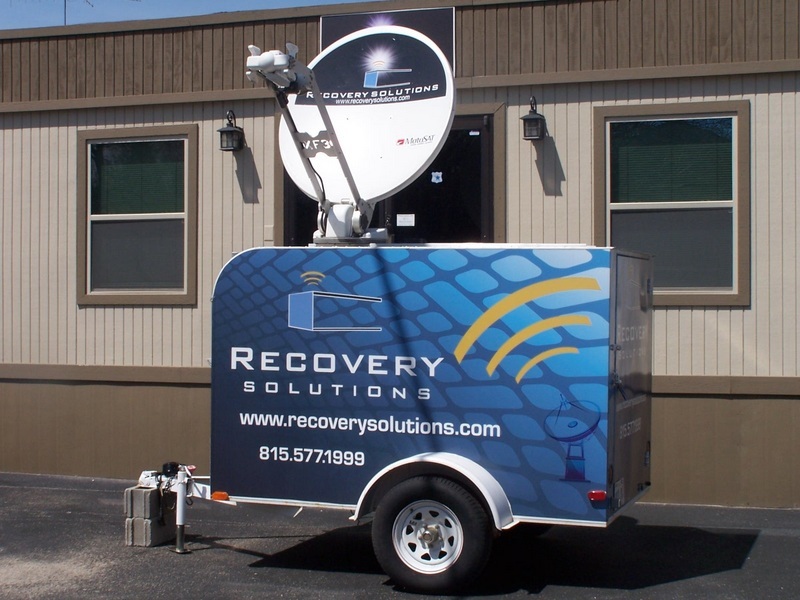 Recovery Solutions recently introduced the Advanced Remote Communications (ARC) solution as an economical and convenient alternative to satellite communications. The ARC is a portable, highly secure device that utilizes a 4G LTE high-speed wireless connection to allow financial institutions to connect to the Internet, communicate with branch locations, and transmit data to core processors. Community banks can now effectively meet FFIEC testing regulations from their conference room – eliminating travel time and cost. 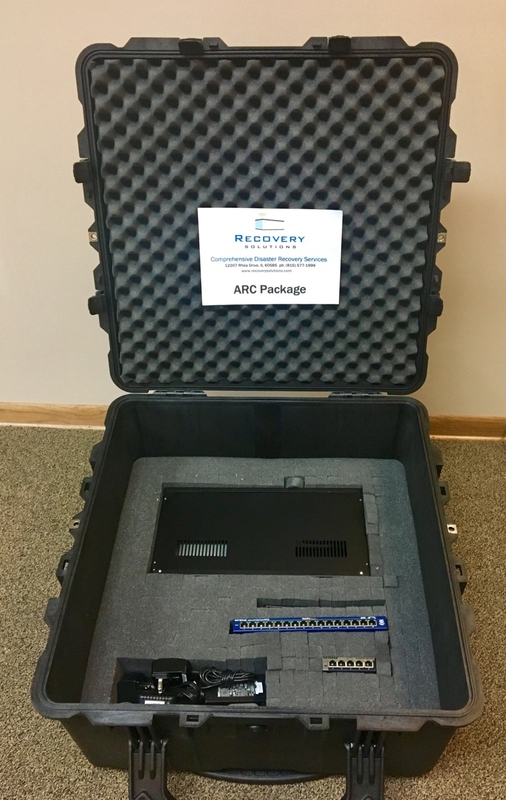 Recovery Solutions ships the ARC box, along with a fileserver and ancillary items directly to the client. 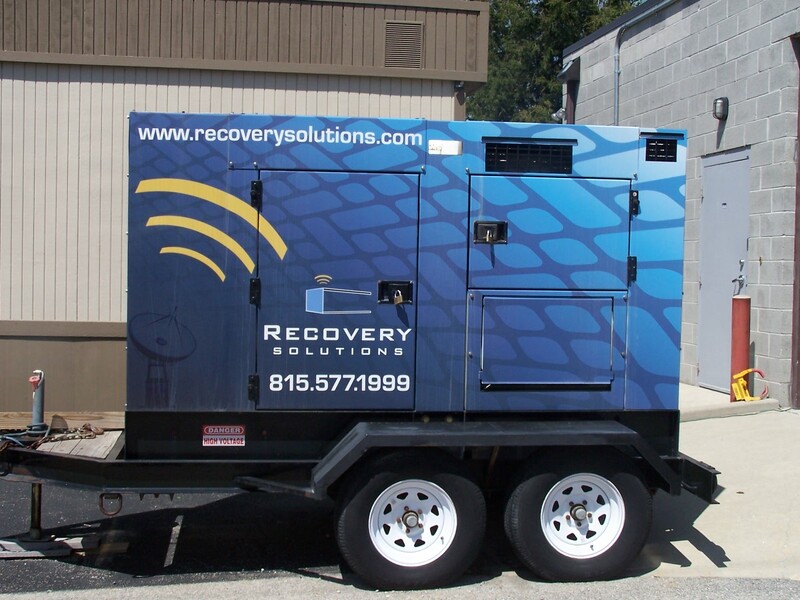 Recovery Solutions documents all test activities and provides a comprehensive disaster recovery report. In addition to a comprehensive documented recovery test, the ARC is ideal for localized disaster recovery when access to cellular networks is available. For large-scale disasters where government agencies may take control of cellular towers, we continue to offer our sophisticated satellite dish network to ensure our clients can resume business promptly. Utilization of emerging technology to improve disaster recovery testing and business resumption techniques. Ability to help community banks reduce costs associated with testing and business resumption. Stringent security measures. In a time where data security is of utmost importance, the ARC solution provides encrypted and secure data transmission. Provide encrypted high-speed Internet access through its sophisticated satellite network to gain access to the outside world when main communications lines are down. 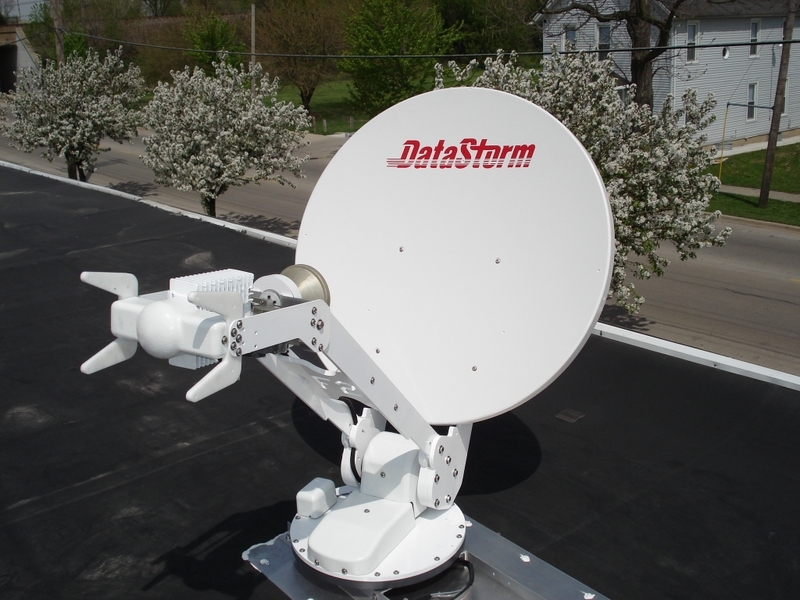 Satellite communications requires clear, full-view of the southern sky to transmit data successfully. Satellite will be placed on a roof-top or secure platform to access southern sky. Bandwidth data transmissions are rated at approximately 5MB download and up to 2MB upload speeds. Either wireless access or Cat 5e cabling is available to the satellite communications network. RS works with the leading Financial Industry Service Bureaus throughout the United States who provide core banking services to our clients. Our clients who process core systems in-house often utilize hot-site backup facilities. In either situation, RS has the experience, technology and business relationships to provide secure satellite communications to all types of data centers. Outlined below are the primary methods for connecting to Service Bureaus or hot-site facilities. As a result of our industry experience and reputation RS has entered into a partnership with one of the largest Service Bureaus in the country. RS connects our LiveSite Disaster Recovery Test Center network to this Service Bureau over a secure dedicated circuit providing our mutual clients with an extremely fast data transmission method for sending and retrieving financial data from the core systems. An encrypted vLAN transmission is sent from anyone of the RS satellite dish networks, to a satellite in earth’s orbit (22,253 miles in space) which sends the information down to our “earth station”. Within the earth station, data packages are sent through a scalable 1.5 MPLS circuit to the Service Bureau data center. The MPLS can be increased to a larger size based on needs. Many of the financial industry service bureaus utilize a Virtual Private Network (VPN) to encrypt the data packages for communication between the RS LiveSite Disaster Recovery Test Center Satellite network and their data centers. These VPNs provide industry standard network security ensuring the security of confidential information being transmitted outside of the bank’s dedicated circuit with their service bureau. 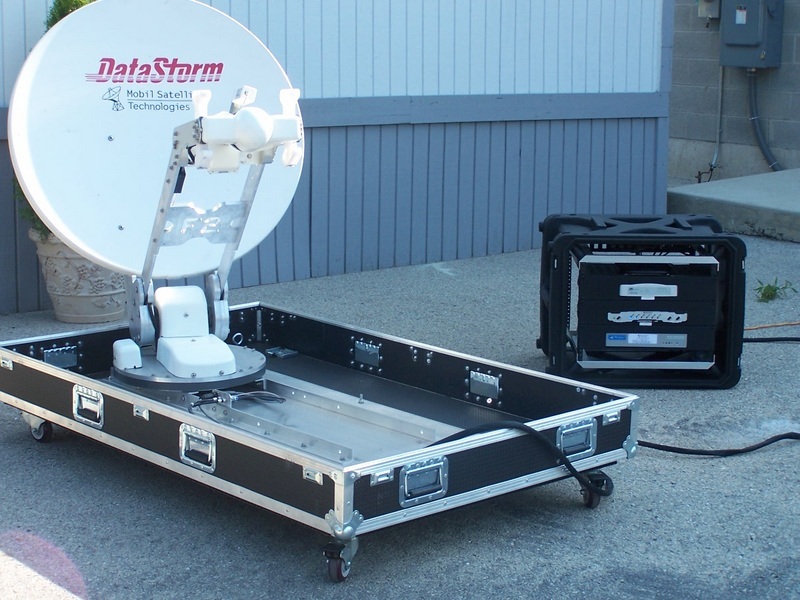 The VPN device located in the RS LiveSite Disaster Recovery Test Center is preconfigured to support one of the RS satellite networks. 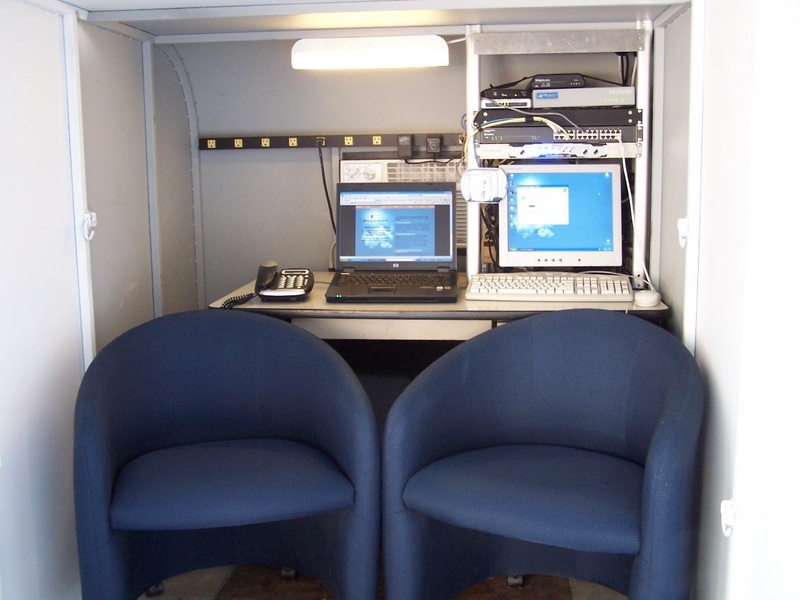 A second VPN device is located at the Service Bureau Network Operations Center (NOC) and is monitored by the service bureau network security team. Internet access can be configured through the data center or through RS firewall devices. Clients that contract with a third party backup data center for their in-house systems, work with RS to pre-configure a VPN through their firewall and the RS SonicWall VPN/Firewall. RS and the client will configure a secure VPN tunnel over satellite connection to securely access data information at the backup data center. All transmissions are encrypted to protect the confidential data information. Customers manage these VPN connections for added security.